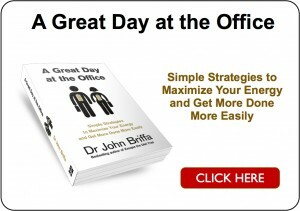 By Dr John Briffa on 2 October 2012 in Cholesterol and Statins, Healthy Eating, Unhealthy Eating! There’s a widespread view in the scientific and medical communities that saturated fat is bad for the heart. In particular, this form of fat (found in, among other things, meat, eggs, dairy products, coconut and palm oil) is said to raise levels of cholesterol, which in turns increases our risk of heart disease by promoting the gumming up of arteries known as ‘atherosclerosis’. Actually, the impact saturated fat has on cholesterol levels is irrelevant, it’s the impact it has on health that counts. So, this week, I decided to go looking for evidence concerning the link between dietary saturated fat and risk of heart disease. One of the sources of data I went to is the 2008 (most recent) edition of the European cardiovascular disease statistics  which you can download here. In this document can be found information on percentage of the diet contributed by saturated fat (page 75) in more than 40 countries, as well as the rates of death due to heart disease in those countries (page 28). Only about one third of the countries used to construct the graph are listed at the bottom due to space. The blue bars represent the percentage of saturated fat in the diet, going from the least to the most from left to right. The red bars are the rates of heart disease deaths in those countries. What’s evident here is this trend: as percentages of saturated fat rise, rates of death from heart disease fall. I’ve drawn in a green line that demonstrates this trend. You’ll sometimes hear about the ‘French paradox’, which describes the phenomenon of low heart disease rates in France ‘despite’ a diet rich in saturated fat. Well, it seems that this ‘paradox’ is not limited to France, but is alive and well in several other countries too including the UK, Germany, Austria, Finland, Belgium, Iceland, the Netherlands and Switzerland. In other words, it’s not a paradox at all. It’s only a paradox if one believes saturated fat causes heart disease. The thing is, there’s really no good evidence that it does. Thank you for sharing this! Finally a visual representation that demonstrates what we know but the rest of the world denies. Well done. Good info, but since you are trying to show correlation the data would be better presented as an x-y scatter plot. David – yes, good point. I’ve had a quick bash at this and added in at end of the post. Thanks for tip! Thank you for this. My own opinions on a range of issues related to diet only started to be able to break away from the orthodoxy when I read – with jaw dropping to the floor – that Ancel Keyes, who is credited with ‘proving’ that a diet high in saturated fat causes high cholesterol causes heart disease, had lied. The so-called ‘Seven Countries Study’, which supported his premise, should really have been called the ‘Twenty two Countries Study’ – but as the findings from 15 of those countries didn’t tally with what he wanted to prove, he quietly removed them from the study. That included France, Spain, Italy and the Netherlands. Thank you sir, nothing new, but interesting nonetheless. I’m convinced that LCHF can be a good thing, but each time i stumble upon such graph about mortality / intake i can’t help but notice something relative to the ends of the graph : Bosnia/Azerbaijan/Armenia Germany/Belgium/Switzerland. These clusters have not exactly the same healthcare standards. So, instead of mortality I would realy like to see intake vs incidence ! Do you reckon at all that this may in fact be a factor of something these countries have in their animals fats duet to better livestock management practices perhaps? I can’t help but wonder if it’s the K2 found in the fats of grass fed animals that is the anti-heart disease factor here. I think I’ve read that in Swizterland cows must have a minimum of 90 days on open pasture. In what I’ve read, k2 is a powerful nutrient that is pretty much devoid in factory farmed animals. The data still seems to be all over the place, until it got above 35% sat fat intake. 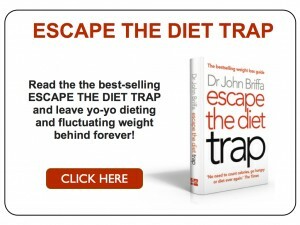 How anyone can draw the line Dr. Briffa drew is baffling. I think there’s a stronger correlation between mean per capita income and death from heart disease. As I understand this, the data captures death due to heart disease, not the incidence of heart disease itself. Is that correct? What I wonder is part of what we see in this data is the influence of medical treatment in more affluent countries. I imagine first heart attack kills more people in less affluent countries than in more affluent countries. I think what I’m really asking is if this data captures deaths only immediately attributable to heart attack or if it captures data on people who survived a first heart attack and died of some other cause even though they might have still had active heart disease. I am, of course, using heart attack in a layman’s sort of way. Just curious, is the data about sugar consumption available and would there be a stronger correlation there? There are no paradoxes in reality (This I learn in junior high school 8th year of schooling English class), so the French Paradox is a ruse and pure obfuscation. it’s wise to eschew obfuscation. I think saturated fat is healthy for many reasons, and vitamin K2 is only one of them, though fairly compelling in and of itself. And specifically the animal variety of K2: the mk-4 analog, known as menaquinone-4 or menatetrenone. Interestingly, it seems to have effects that could prevent type 2 diabetes, as well; it triggers the production of osteocalcin in the bones and dentin (hard solid structural part of the teeth), and osteocalcin triggers the production of adiponectin, which increases insulin sensitivity all over the body. Type 2 diabetes is a disorder of insulin sensitivity, and is also considered to be strongly related to heart disease. The K2 issue also helps explain why tooth decay and diabetes and heart disease are so strongly related to one another. If your teeth are rotting out of your head, but you’re at a normal weight, you probably should proceed in changing your habits as if you were overweight with metabolic syndrome. Your body needs insulin sensitivity more than it needs teeth. I know that LCHF certainly keeps my teeth cleaner, despite my not brushing them three times a day. Really odd–unless you understand what’s going on. Please elaborate on your connection between osteocalcin production and cleaner teeth. I can see the connection between osteocalcin production and harder teeth, but not between harder and cleaner teeth. There is an alternative way this data could be interpreted. In my opinion a better explanation is that people in rich countries – Switzerland, Belgium and Germany, get better preventative care than people who live in poor counties – Bosnia, Azerbaijan and Armenia. Also it is LDL that drives heart disease. Since different types of saturated fatty acids are known to have different effects on LDL levels, one needs to know the dietary mix of saturated fatty acids and overall LDL levels to make any type of reasonable judgement. Effects of fats and fatty acids on blood lipids in humans: an overview. The 1998 Report cited opens its Chapter on cholesterol with a seemingly unequivocal statement that high cholesterol is a cause of heart disease. Would be interested to know anyone’s thoughts on the statisitics provided in the Report that are used to substantite this. LDL comes in 2 varieties; the good (fluffy) and the bad (small dense particles) one. The good LDL is part of the immune system. That’s why it is found around inflammation sites in the arteries; the immune system provides a remedy. The small dense particles are capable of entering the blood vessels and cause inflamation and hart disease. How to raise the bad LDL? Just eat a lot of sugar. I want lots of cholesterol; the more the better. But only the good stuf. I would like to see where France (and Britain) lie on the first graph if possible. France is on the extreme right (last point) and the UK is close to Germany. Only a lighthearted aside – does this mean Im allowed to eat butter instead of margarine? Bravo–a picture is worth a thousand words. Thank you so much for creating a visual that will help my patients and my readers on this side of the pond to begin to let go of the mythical connection between saturated fat and heart disease. what does LCFH stand for ??? Dr Malcolm Kendrick analyses stats like these in some detail in The Great Cholesterol Con. I’d really recommend it to anyone who wants all the detail. My school science education was good, but I switched to humanities at A-level. Even so, Dr Kendrick explains what Dr Briffa is referring to here in a very comprehensible way to the non-scientist, without resorting to over-simplification. The book was recommended to me a couple of years ago by my no-nonsense, old-fashioned, and very effective (non-NHS) endocrinologist. He (the endocrinologist) has been castigated by his peers for going against conventional wisdom in his treatment of hypothyroid patients – they seem to resent the fact his patients’ health improves when they go against the grain. If you follow a low carb diet (<50gm) and limit protein intake to that recommended you end up with a total fat intake between 60-70%. Looking at my diet I find that saturated fat is between 40-50% of my calorie intake. The saturated fat intakes associated with this study are way below this level so the study tells me little about whether my diet is setting me up for an early death. I’m ashamed to see MDs publishing or accepting such garbage misinterpretation of datas. When one spit on Ancel Keys 7 countries study, i would expect him to show more intellectual honesty. You’re giving vegan propagandists the stick to beat you! BTW, I’m thriving on a ketogenic diet, and far from an enemy of satured fats! LCHF (not LCFH) stands for low carb high fat. Butter is definitely better for you than margarine! Susan, LCHF stands for Low Carbohydrates High Fat. Patricia, always eat butter rather than margarine. Butter is natural, margarine is one molecule different from plastic! As pointed out above, the correlation seems to be primarily between groups of countries with different magnitudes of mortality, and different living standards, rather than individual countries. Studies bases on data from the 40s, 50s and 60s, which seem to have used all countries with available data, actually showed rather strong positive correlations between total/animal/saturated fat intake and coronary heart disease mortality (Masironi, Bull. WHO 1970, pmid 5309508). This was because reported mortality in these times was highest in affluent countries, like US, UK and the Nordic countries, and CHD mortality was highly correlated also with other affluence markes, but, nevertheless, there was some truth in regarding France as a statistical outlier. The negative correlation shown in this post has emerged because mortality has declined greatly in these countries, but stayed the same, or increased, in many countries in Eastern Europe, and the number of Eastern countries with available data has increased, while the patterns of fat intake have remained roughly the same. I’d like to commend jake3_14 for pointing out the obviously inappropriate trend line. A more thorough analysis would include per capita income and number of people living with heart disease, as others have suggested. Where does the US fall on this chart? regarding your post above, quote – “specifically the animal variety of K2: the mk-4 analog, known as menaquinone-4 or menatetrenone. Interestingly, it seems to have effects that could prevent type 2 diabetes, as well; it triggers the production of osteocalcin in the bones and dentin (hard solid structural part of the teeth), and osteocalcin triggers the production of adiponectin, which increases insulin sensitivity all over the body.” – unquote. Can you offer up some links to the source(s) of the research that lead you to these conclusions – I ask because I became type 2 diabetic a few years ago and your comments interest me (like they likely will most other type 2 reading this). 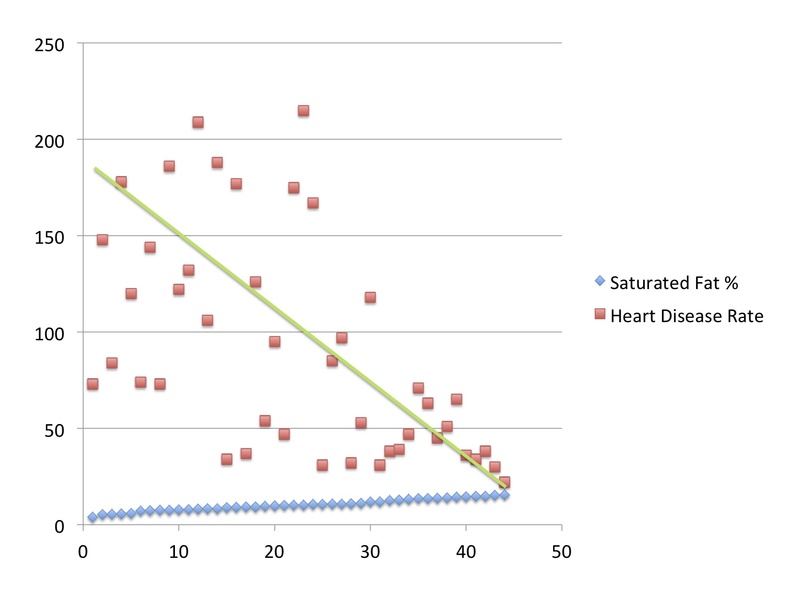 Of course the correlation between saturated fat and death from heart disease is not perfect, but are you seriously saying you cannot see that the trend is for higher percentage of sat fat intakes to be associated with lower rates of death from heart disease? Really? Please take another look at the lower graph and perhaps reconsider. Dr Briffa, on my side i can **see** the trend, but i know there are very obvious confounders. Just as i can see the flat horizon, but know better and woud’nt say the earth if flat. 1 / below a certain amount of fat the mortality jump all over the place. 3/ … and **seems** to be inversely corellated with SFA intake. Point 1 suggest me that fat intake is probably not of primary importance for CHD mortality. Point 2 suggest me that we have a cluster of closely related countries, regarding to health care access and standards. Point 3 suggest i should dig to see what happened here, and if SFA is not confounded by others factors. Again corellation with incidence, instead of mortality, would be more interesting. I wish you’re right with your “hypothesis”, since i’m one of those french (that explain my sketchy english) of the far right of the graph, but i’m glad i have other (better) reasons to follow my VLC lifestyle! Isn’t the real paradox how the French get away with eating so many white bread baguettes?! As a fan of Malcolm Kendrick’s Great Cholesterol Con I would like to add my own ad hoc hypothesis on the French paradox. It’s due to their striped jerseys, neat berets and the Galloises cigarettes that they smoke. There’s as much evidence for that as the usual guff about red wine and garlic. When I asked my doctor for a prescription for red wine rarher than the statins he was trying to get me to take for some strange reason he refused. Even if I grant that there was a reasonable downward trend prior to the high 20′s percentage (which I don’t), I stand by my assertion that there are unconsidered confounders that might better explain the trend you propose: quality of medical care and better self-healthcare that comes with higher per capita income. (1) As pointed out in the 2008 report from which the data is taken, there are no recent, comperehensive international data on morbidity, rather than mortality, measures (e.g. incidence) for coronary heart disease. Moreover, morbidity data may also be biased in different ways (countries with better healthcare may diagnose a greater share of less severe cases of a disease, which may inflate both incidence and survival among incident cases). (2) We could try multiple regression with different markers of affluence as predictors, but it may be hard to discover independent relations with CHD mortality, because of multicollinearity between the markers (as in the old data showing positive correlations between affluence and CHD). 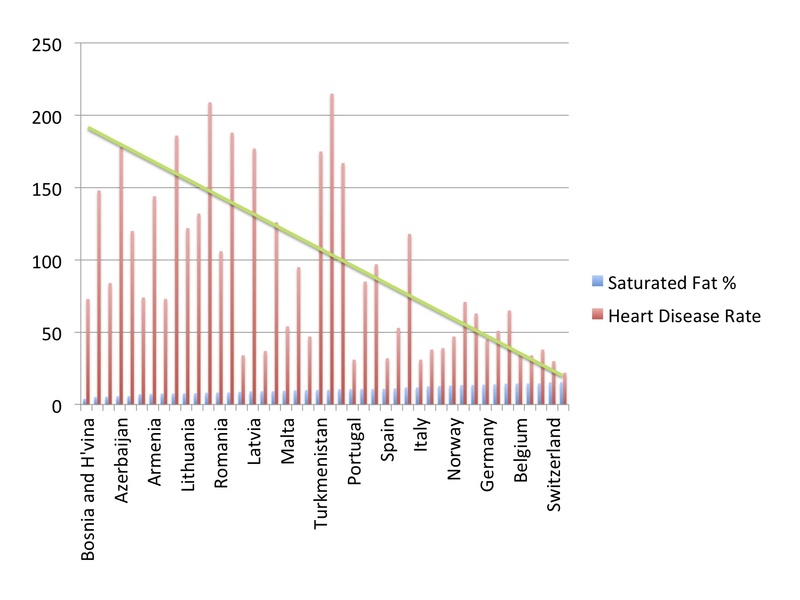 We should not, I think, take the correlations shown in the graph as evidence that high saturated fatty acid intake has cardioprotective effects, but they illustrate that it is not correct to regard countries like France, with high SFA intake and low CHD mortality, as outliers in today’s world. By the way, the X axis in the lower graph seems confusing, because the upper limit of SFA intake among the countries, according to the text, is 15.5 percent. I think Kendrick also suggested that these results could be due to the amount of stress those people in eastern European countries have had to endure in the past 50 years or so. he believes that heart disease is caused by stress induced inflammation. At least that was one of his theories. he also put the high incidence of heart disease in Glasgow down to stress caused thirty years ago when residents were forced to move. I am sure most of us know of people who have a surprising heart attack. they may have good diets – but have awful stress control. Egg yolks are full of Lecithin which help dissolve the cholesterol and therefore lower the risk of heart disease. Make sure not to overcook it. Eggs have a lot of amino acids too. As a French, I really do not think there is a “French Paradox” at all. @Patricia, you really shouldn’t use Margarine at all. Implicit in your conclusion is the existence of a contemporaneous relationship between saturated fat consumption and heart disease. If I eat saturated fat today, I do not get heart disease tomorrow. So comparing saturated fat consumption in a particular year with heart disease incidence in that same year is meaningless. One must look at a lifetime of data. A thought experiment to illustrate my point: Suppose members of Group A have been smoking one pack of cigarettes a day for 50 years. Then suppose Group B members began smoking two packs of cigarettes a day last year after having never smoked before. You collect data for this year–the year after Group B began smoking two packs a day. Your ‘snapshot’ data for the analysis year: Group A smokes one pack a day; Group B smokes two packs a day; Group A experiences 100 cases of lung cancer per 100,000 members. Group B experiences 10 cases of lung cancer per 100,000 members. Your conclusion: The more one smokes, the lower the incidence of lung cancer. Unfortunately your conclusion is flawed because it ignores 49 years of smoking by Group A and non-smoking by Group B.
I am a 73 year old female with Polycythemia Vera (high platelet count) as well as high cholesterol. I have been taking pills for both. I vacationed in Paris for 3 weeks and half the time I forgot to take my medicines (hydroxurea, red yeast rice extract, nattokinase, vitamins). I did not drink wine in Paris but I had bread, cheese, coffee and butter every morning that the hotel provided for us. I normally never touch bread, cheese or butter and at home I always drink green tea. When I got home and did my routine lab test, I was stunned to see my cholesterol and platelet count finally got down to normal after a year of trying to figure out alternative ways of reducing my platelet count so that I do not have to take hydroxurea which is a medicine that I don’t like taking. It made me now begin my research about the French paradox and that’s when I discovered this website. The changes in my blood numbers were amazing. I’ve been home from Paris for 2 months now and my blood counts are bad again. I’m considering beginning to eat cheese on a daily basis but I’m afraid to do so. I would appreciate advise from anyone about dietary considerations for high platelet count which could lead to leukemia. So does anyone care to tell me what caused my 48 year old husband to ave an 80% blockage in the coronary artery? He loves meat, dairy, butter and natural foods. He does loves sweets too. Extremely active with a perfect heart. Both my parents ate the same as him with the love of sweets. Both had heart attacks. Why??? Sugar consumption, in whatever form the carbs were originally ingested. Leave a Reply to Trudy Click here to cancel reply.